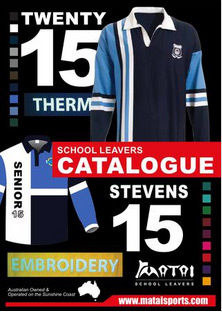 Matai Sports specialise not only in Custom School Teamwear but School Leaver's Jerseys. Design a custom Jersey with your name and number through out Kit Builder section. Or browse our products below or click on the catalogue link to view a PDF catalogue.